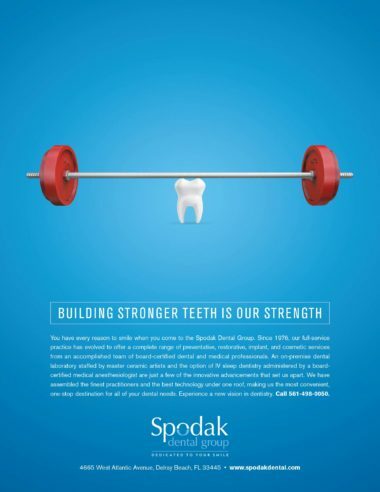 Say what you will, but we just can’t keep our mouth shut about our new ad campaign for Spodak Dental Group. 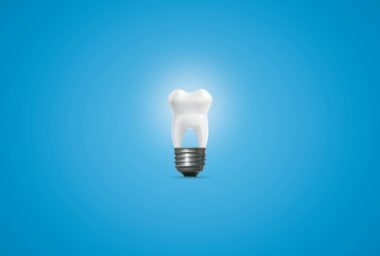 Everyone at MDG has been all smiles since we started working with this full-service Delray Beach, Florida-based dental practice. 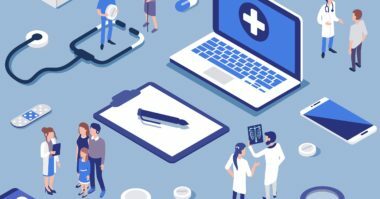 To give their campaign real bite, we first brushed up on their history and learned that their practice spans over 30 years and two generations. Then, we went over their services with a fine-toothed comb and discovered that when they say full-service, they really mean it. 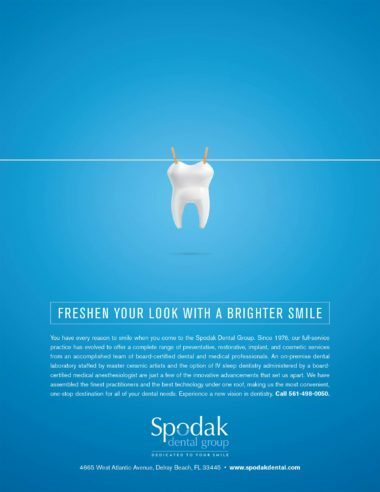 Spodak Dental offers a complete range of general and specialized services, along with a team of dental and medical specialists, all in one destination for maximum convenience with minimum time and travel. That’s certainly something to smile about! 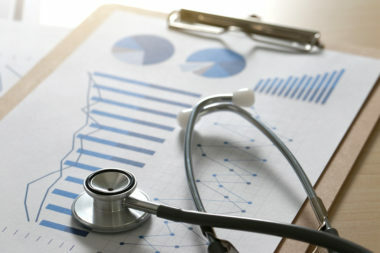 Finally, we rooted around their office and learned that they’re one of the nation’s only practices with an on-premise dental laboratory and they pride themselves on using the newest techniques and most advanced technology. 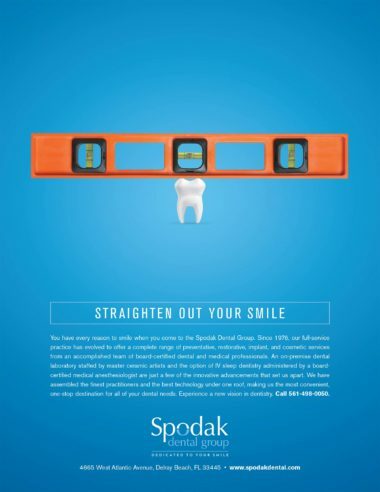 Once we were armed to the teeth with dental details, we decided to completely makeover the traditional dental ad – you know, the usual picture of pretty people smiling – and give Spodak Dental a clean, contemporary look that was slightly tongue-in-cheek. 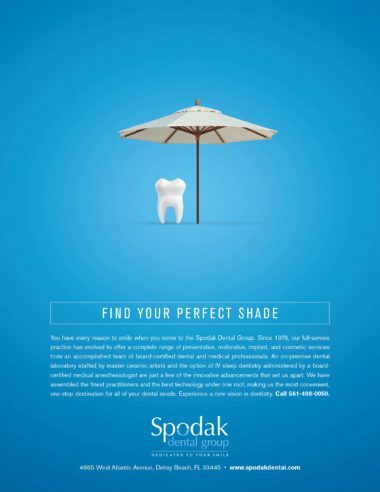 We created a series of ads featuring a bright, white tooth with a subtle shade of humor beneath the veneer. 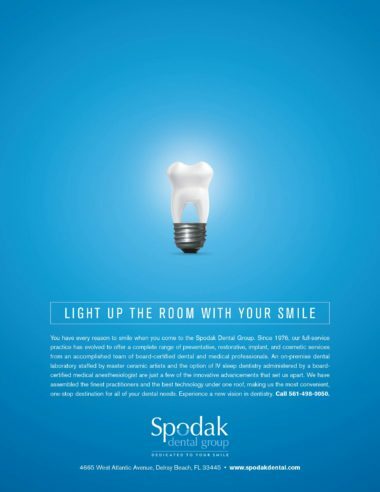 From the positive word of mouth, we’d say our campaign has Spodak Dental Group grinning from ear to ear.